Walking back across the bridge after sunset I noticed this farmer who had just returned from plowing the field with his oxen. There was barely enough light for this shot. 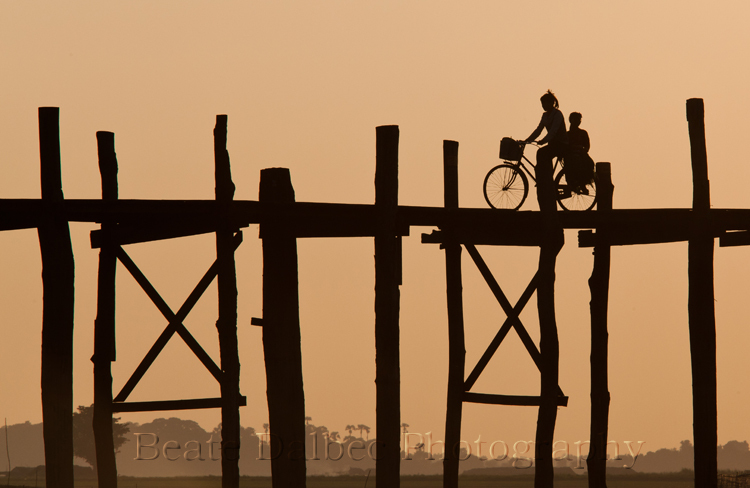 Setting up my tripod on the wooden bridge was another problem. I needed a fairly long exposure and every time I pressed the shutter someone would start walking down the bridge and my tripod started to vibrate too much for a sharp shot. But one worked! 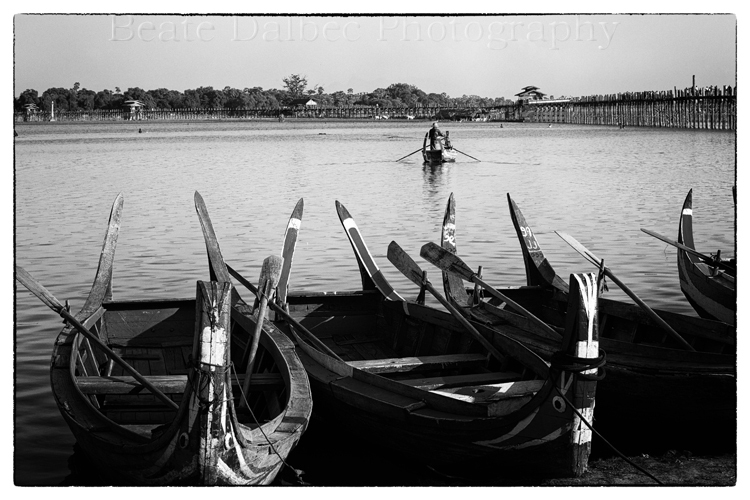 And for something a little different, here is one in monochrome, taken before heading out to our sunset shoot. 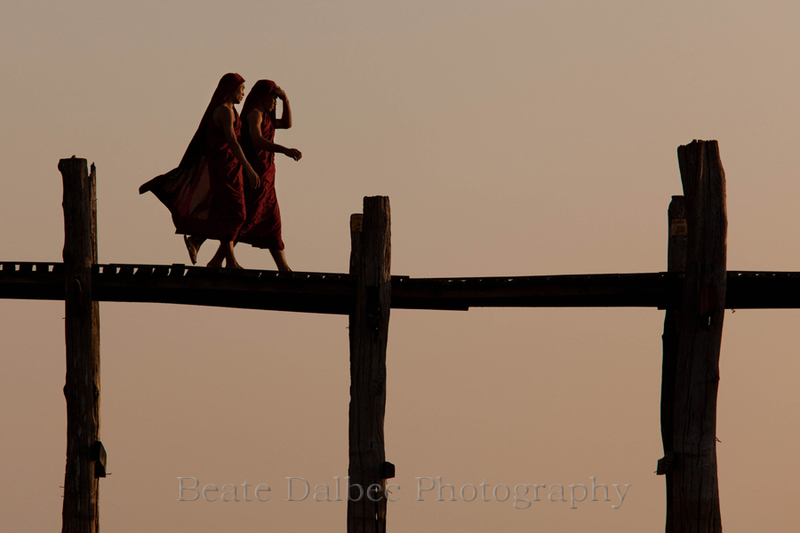 As usual, you can find more images of my trip to Myanmar on my website. And congratulations on your photo win.